Price check aisle nine: Tesco Hudl smartphone landing this year! Following the success of its Hudl tablet, supermarket giant Tesco is about to launch its own smartphone. 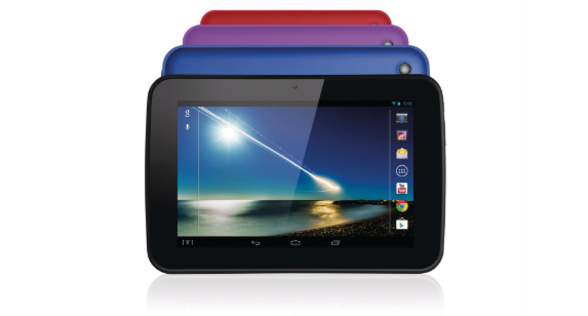 Like the tablet, the device will also be branded ‘Hudl’ and will run Google’s Android operating system. It will also come pre-installed with Tesco services, and launch by the end of the year, the supermarket’s CEO Philip Clarke told BBC Radio 5 Live. But unlike the Hudl tablet, the phone is expected to higher-specced to take on rivals like the iPhone 5S and HTC One (M8). Though it will still be aggressively priced. Sounds a bit like the OnePlus One to us. Tesco also has another tablet waiting in the bagging area. The Hudl 2 will launch in September, Clarke said. The original Hudl was a winning combination of the Android OS at a low, low price. While more expensive than some of the raft of cheap slates we saw at the end of last year, the Hudl was still a runaway success, selling half a million units. Tesco isn’t the only retailer readying its own smartphone. Amazon also has a mobile up its sleeve, and it’s thought to boast 3D skills and neat tilt controls. We should see Amazon’s smartie launch in the coming weeks.